Former Ireland and British & Irish Lions fly-half Ronan O’Gara said his experience as an assistant coach with the Super Rugby-winning Crusaders has ‘entirely altered’ his thought processes. 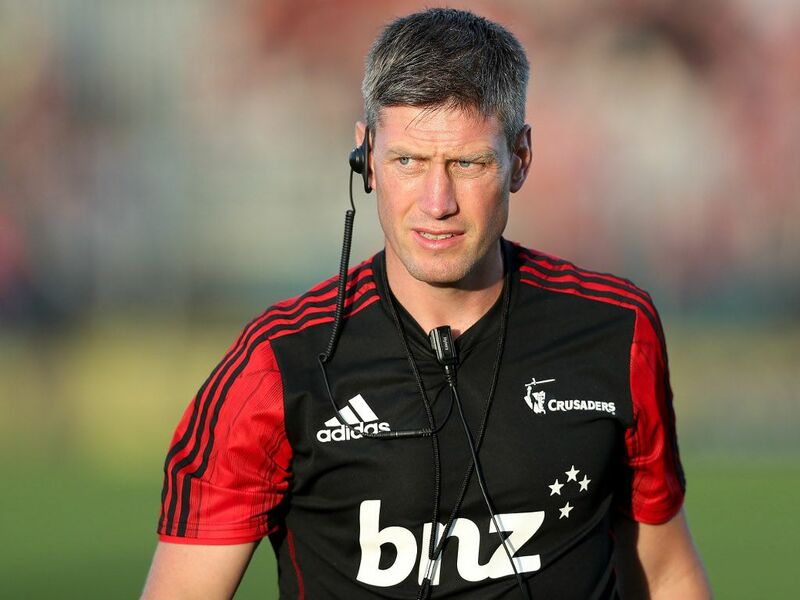 O’Gara said a comment made before the Crusaders’ second game against the Hurricanes by coach Scott Robertson had been significant in his change of approach. “We were ravaged by injuries, facing our biggest New Zealand rivals with a team of largely untried talents,” he told the Irish Examiner. Robertson was one of the most upbeat men he had worked with. “He blew me away that week when I ventured that if the Hurricanes were going to beat us, it was then,” said O’Gara. “‘Razor’ (Robertson’s nickname) fixed me with a death stare. ‘I don’t see it like that. Anybody who has come into my team has performed and taken their chance. I can’t wait to see these young fellas tomorrow’,” he said. The next evening the Crusaders duly beat the Hurricanes. “Razor showers you in his positivity,” added O’Gara. The Crusaders’ campaign had been the most intensely focused he had been involved in. “It’s almost weird being a sidecar passenger on your own development, knowing it’s happening but being too focused to stop and admire it,” he said. “We practise clinical and ruthless. The coaching and teaching element of the job is fundamental but the icing on the top is the development of the individual player, their self-development. The trick for the coaching staff is knowing when to be part of that and knowing when to get out of the way. Helping the players help each other too. That’s been the really fascinating part to observe. O’Gara said during his experience with Racing 92 in Paris the language barrier had been an issue in player uptake as everything happened slower. But in Christchurch the players’ game intelligence was off the charts, he said, and the uptake was so quick by comparison. Leadership was an important area, and it was carefully planned with programmes in place to ensure a next tier of leaders was being catered for. “In the midst of all this, you are continually reinforcing the benefits of what knowledge does for a coaching ticket, for a playing group, for team ambition, and for making the difference in the championship moments and games,” he explained. “It makes for an interesting (and at times sobering) retrospective on things, on moments, and on careers. I look back now at key games, key battles we hoped to win. It was all a bit random at times,” he said of his playing career. The experience with the Crusaders had given him more confidence about delivering his message in every different facet of the game. “There’s nothing special, there’s no mystery to these Crusader winners, but living with them clarifies in its purest terms the fundamentals of that oft-misused and misunderstood value – culture – and how you back it up. How you put into practice what culture is, and what trying to get better every day looks like,” he said.